For women entrepreneurs of a certain age group, learning how to adapt to the modern market is essential for survival. 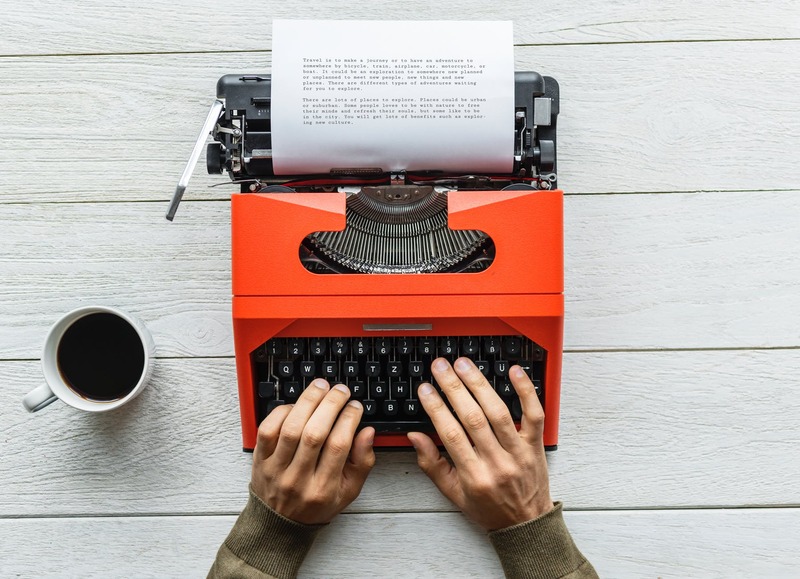 A method that will certainly help you out is blogging – just one of the many technological offshoots of copyediting, copywriting, and proofreading for businesses. Yvette Williams, PhD says that in order to connect with your clients, you must first establish your voice. Fortunately this task is completely achievable with the help of an excellent freelance writer. But how can you make sure that the resulting copy reflects your authentic voice as an entrepreneur? 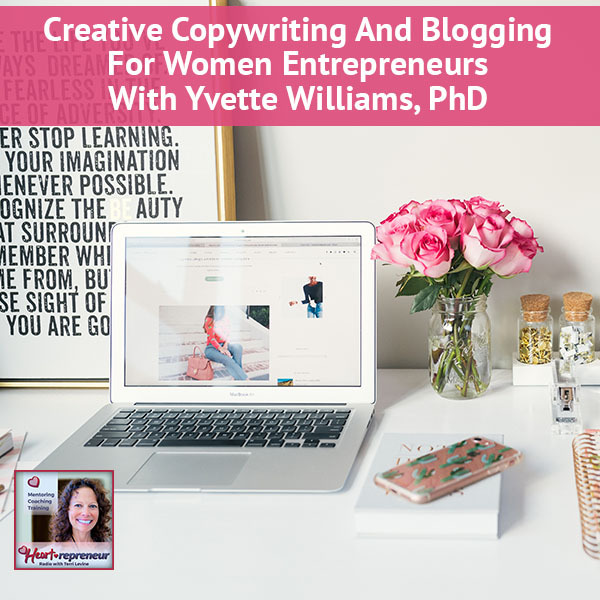 Learn more about the crazy profitable world of copywriting and blogging from Yvette Williams, PhD, one of the most respected experts in the industry. If you are a woman entrepreneur who loves to talk about your organization but needs help writing about it, Yvette can help! 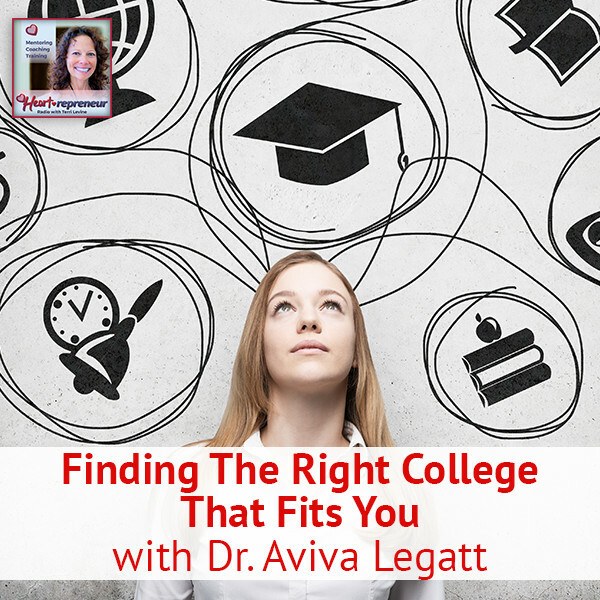 Her expertise is helping you figure out what to say and how to write it while bringing out your unique voice. She specializes in copy-editing and proofreading print and website copy and writing blog articles that speak to your target audience. 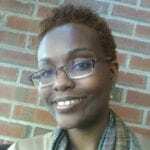 Our guest is Yvette Williams, PhD. She’s a freelance writer for her company, The Esteemed Scribe, LLC. Her company provides expertise in copyediting, copywriting, proofreading and blogging. 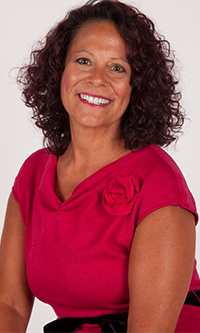 She specializes in helping women entrepreneurs write informative, creative and inspirational copy that expresses their unique voice and propels their business forward. 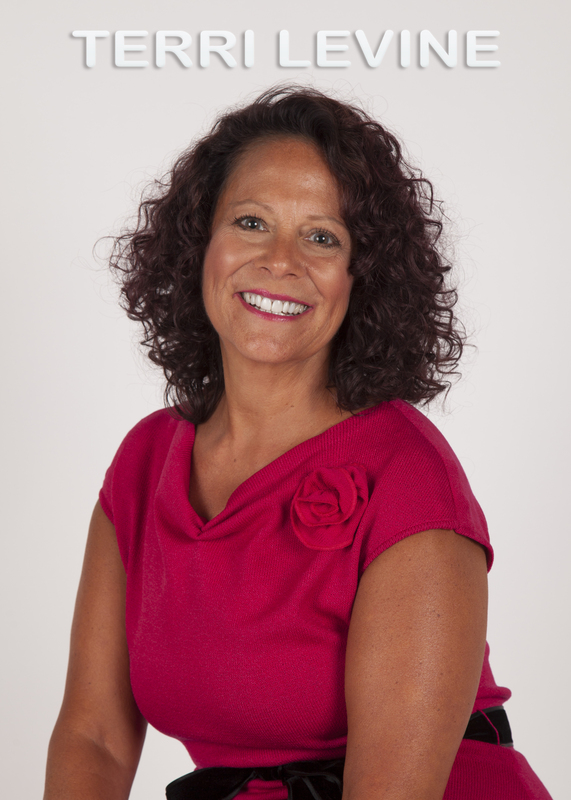 Welcome to Heartrepreneur Radio, Yvette. It’s good to have you. A lot of times people don’t know the difference between copyediting and copywriting, and copywriting versus copywriting material. Would you address those? Copyediting is more of what I call the behind-the-scenes grunt work. It is the skill set in which I would be looking at sentence structure errors, grammar, punctuation, consistency in how words are used and quite a few other things that I look at as far as the quality of the writing. Copywriting includes copyediting but it’s more of the expressive, creative and at times the instructional piece of writing. In a sense, if you are making a cake, you want the cake to come out perfectly smooth and round and there may be some things that you have to do in order to have the cake presentable. For example, the copyediting would be brushing off the crumbs and filling in the areas so that the cake looks uniform. The copywriting is adding the frosting and the decoration to make it look presentable. One of the areas that everyone can use, whether they know it or not, is proofreading. I get articles submitted for Heartrepreneur Magazine or for the Heartrepreneur blog on a regular and the biggest issue is that they didn’t proofread their own articles. Can you speak to proofreading at all and your thoughts about that? Proofreading is what you want to apply before the article, the blog, or whatever written material goes out the door before your audience. My skills that I use for proofreading include making sure that there’s consistent font, making sure that the items in the copy are well aligned, and also doing some additional copyediting. That may be catching some last-minute typos and not creating disastrous spelling errors, which can skew the meaning of your copy. Blogging is extremely important as a writer. It establishes voice. You have expertise in blogging. Can you talk to why you believe blogging is or isn’t important? I believe blogging is extremely important as a writer. It establishes my voice. It helps me to be able to connect with clients. Also, to be a part of the larger writing community. I find that the more that I write, the more I learn from my community because I’ve often get feedback, comments and it’s a way of engaging. It’s a way of expression. It allows my clients to be able to see what it is that I could provide a service to them and how I can in turn be able to write in a voice that speaks for what they need. My route wasn’t direct. I had been doing some both professional and personal writing for probably close to ten years now. 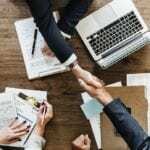 I didn’t professionally or formally start as a business until a few years ago when I came across a situation where I decided to test run some of my writing services. I was excited because I did a little website marketing and I was able to get my very first client. With the beauty of online businesses, my client came all the way from Los Angeles and I’m currently in Connecticut. I was excited and decided that it was time for me to put down my shoes and put the rubber to the road and establish myself as a business owner and a writer. We’ve got some readers who are in different places on the journey, some who are still perhaps working at a job, some who are ready to make a move, so I always like to hear someone’s story. Why did you decide to focus on women entrepreneurs? My inspiration for working with women entrepreneurs came on as a result of a coaching program that I was a part of. My coach encouraged me to not only write, but I had mentioned I was interested in writing blogs to inspire women in that age group. As a result, I merged both my writing skills and my interest in writing inspirational and empowering blogs to work specifically with women in that age group because I feel like I could connect with them because I’m in the age group and I can share some challenges, obstacles, as well as opportunities for women as entrepreneurs in this age group. I love that you talk about copy that expresses their unique voice. I believed that we have to have a unique voice. How do you help people even know what their unique voice is? My inspiration for that came when I had one of my very first clients and she was so excited after I helped her prepare a blog that she said to me, “This sounds like something that I wrote.” She said, “I was so excited because you’ve got it so on point with what I wanted to say and who my audience was that that became in my own thinking.” This is the value that I bring to my customers. This is the value that I bring to my clients. If I’m able to talk to a client about their personal experiences or a marketing angle that they’re interested in for their business and I can express it in a way so that they can not only feel confident that this is something they would have said their selves and that they’re confident they can reach their clients, then I feel like that’s a job well done and a task accomplished. Copywriting For Women Entrepreneurs: The copywriting is adding the frosting and the decoration to make it look presentable. I’ll share an example of something that happened. It’s very similar. This is going back fifteen years ago. I had an assistant who did a lot of writing for me and really got familiar with me and my voice. I was at a meeting with a big corporation. They pulled up one of my blog articles and they said, “This is really interesting that you wrote this.” Then made quote and I thought, “I don’t remember writing that.” Although it sounds like the exact words I used, I said, “Can I see which blog you’re reading from?” because they had printed it and they handed it out to everyone in the meeting. When I looked at it, Donna had written it, not me. It clearly was my voice. It sounded like my words. No one could tell the difference. I was like, “I don’t remember writing that.” It works magically. It’s interesting when someone can express your unique voice, how much attraction power you have, being authentic and using your own voice. I have my own blog at Heartrepreneur. I talk about things that I believe, that are my philosophies, and that I stand for as well as things that I stand against. I do think that when we’re writing, when we’re blogging, when we’re doing a Facebook Live, when we’re doing a podcast, whatever we’re doing, it is about expressing our unique voice all the time. How can people connect with you, Yvette? How can they find out more about you and if they want your services for copyediting, copywriting, proofreading, and blogging, how can they make contact with you? There are a few ways. One way is through my blog, The Esteemed Scribe Blog. The other way is through my social media platforms. I’m currently on Twitter and you can find me @EsteemedScribe. You can also find me on Facebook, Facebook.com/TheEsteemedScribe. You can also find me on my website, which is www.TheEsteemedScribe.com. I look forward to hearing from you. Thank you so much for being here creating value. 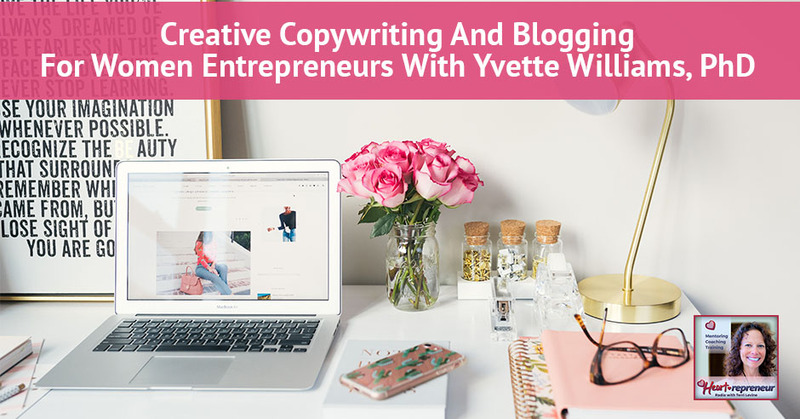 If you want to write more informative, creative copy, and really getting your unique voice out there in a way that can propel your business forward, I highly recommend that you go ahead and connect with Yvette very easy. For everyone, as a thank you for being here with us, you can grab some free gifts. We have a Consumer Awareness Guide that was just put you at Heartrepreneur.com It’s a free gift just for you. We also have a free webinar that was just redone at GetHotPayingClients.com. If you want to connect with us on social media, join our Heartrepreneur Facebook Group, which is #Heartrepreneurs with Terri Levine. 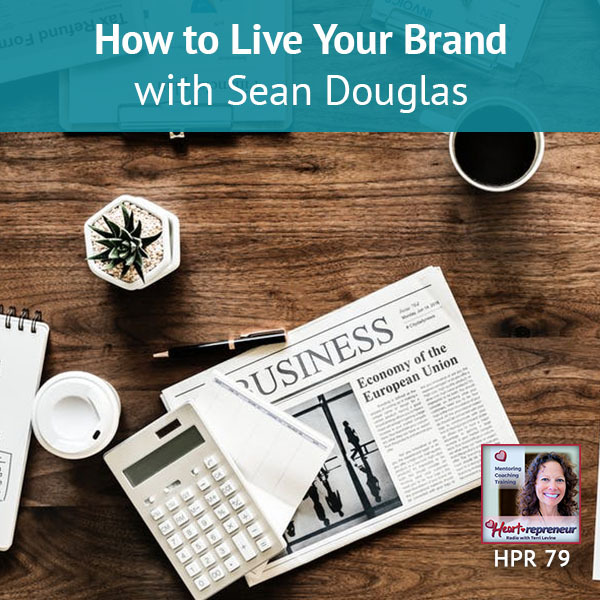 Thank you for tuning in and being here at Heartrepreneur Radio. If you are a woman entrepreneur who loves to talk about your organization but needs help writing about it, I can help! My expertise is helping you figure out what to say and how to write it while bringing out your unique voice. I am passionate about helping you get your message out clearly and effectively. Whether you need to create or spruce up your mission statement, write a powerful testimonial, or share a success story, I can help! Copy-editing and proofreading print and website copy so that your message sounds clear, concise, and informative. Improving the flow of sentences, re-structuring, and reorganizing paragraphs so that your written material looks and sounds flawless. Writing blog articles that speak to your target audience and gets them to engage with your message. Let me help you save time and your reputation with clear, concise, and attention-grabbing writing! I guarantee professionalism, integrity, and timely delivery. Visit my website: www.theesteemedscribe.com and fill out my short intake form. You receive a FREE 30-minute consultation to discuss how I can create high-quality content for your business.